Although independent and not affiliated with the church, NA meets in the parish hall at 7:00 PM on Tuesday and Thursday, of each week. The Altar Guild is the ministry of preparing and maintaining the vessels and vestments used at the altar. 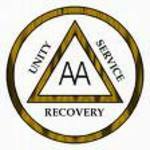 Members are trained and assigned to a rotating schedule that is responsible for the services during a given week. 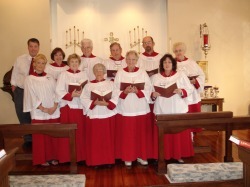 The choir provides musical leadership for congregational singing as well as performing musical enhancements to the worship experience. The Order of the Daughters of the King (DOK) is a spiritual sisterhood of women dedicated to a life of Prayer, Service and Evangelism. Members have made a commitment to Jesus as Savior, and follow Him as Lord of their lives. 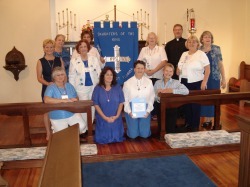 DOK is an Order for women who are communicants of the Episcopal Church, churches in communion with it, or churches in the Historic Episcopate. Membership includes women in the Anglican, Episcopal, Lutheran (ELCA) and Roman Catholic churches. 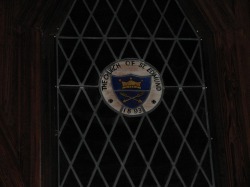 The St. Edmund’s chapter was formed in 2006. Christian education covering various subjects, including Bible study, is offered periodically. A parish newsletter is published monthly that includes items by the clergy, ministry coordinators, and others from the congregation. ECW is the fellowship and service organization for women in the Episcopal Church. The women of St. Edmund’s Church were the leaders in generating the funding for the building of the present 1930 church building. ECW meets on the third Wednesday of the month following the Eucharist; they socialize and conduct their business with a shared meal. 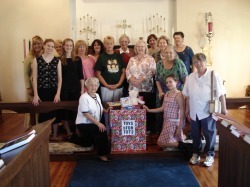 The women of the congregation do much of the work around the parish, are involved in outreach efforts, and provide funding for special projects. Their efforts include the United Thank Offering in-gathering, “Undies Sunday” for collecting new underwear for needy school-age children, and the annual Christmas bazaar among many projects. Every Advent, a "Giving Tree" is established listing foster children in need of Christmas gifts. Each member of the congregation is called to the ministry of hospitality. Visitors are welcomed and new members are incorporated into the life of the congregation. 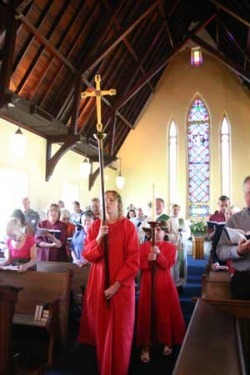 Specific individuals participate in serving as "Greeters" at the Sunday Eucharist. 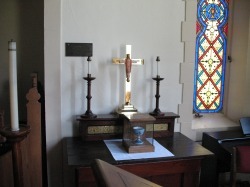 Following the Sunday Eucharist, food and refreshments are available in the parish hall. It is a time for members and visitors to socialize and interact with each other. Members of the congregation fully participate in the liturgies and worship services. Acolytes assist at the altar. Lectors read the Scriptures. Eucharistic Ministers assist with the distribution of Holy Communion. 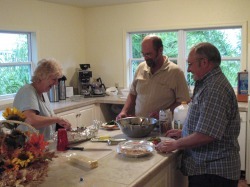 Unstructured and informal, the Men's Group consists of male members of the congregation who gather for dinner on the third Wednesday of the month. During this time they socialize and plan projects they will do around the parish. These projects may include clean-up and repairs, fund raising events, or scheduling visitation with a "shut-in" member of the congregation. 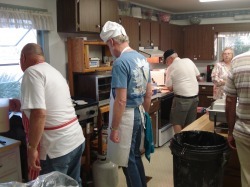 Annually the group provides the Shove Tuesday Pancake Supper. 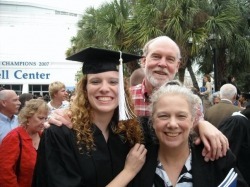 Through the generosity of donors, members of the congregation can receive college scholarship money. This is done through an application process managed by a scholarship committee. Separate from the Scholarship Fund, some members of the congregation participate in Florida's "Take Stock In Children" program to mentor and assist low-income at-risk students with good academic performance to complete high school and go to college.